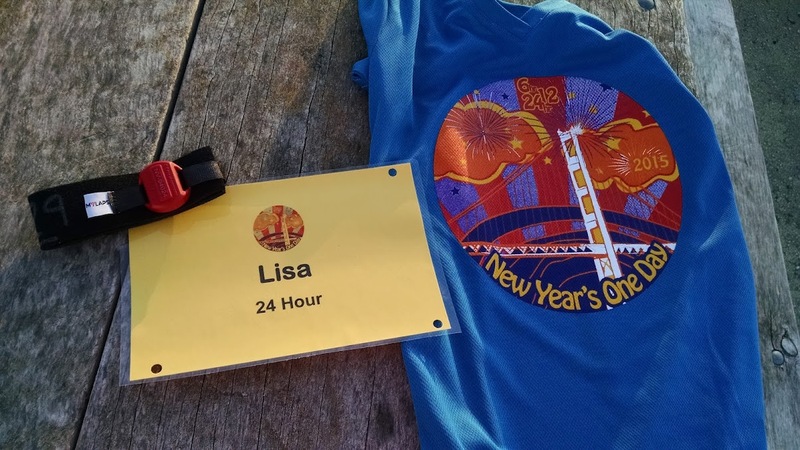 On Dec 31st, I started running the San Francisco One-Day race. 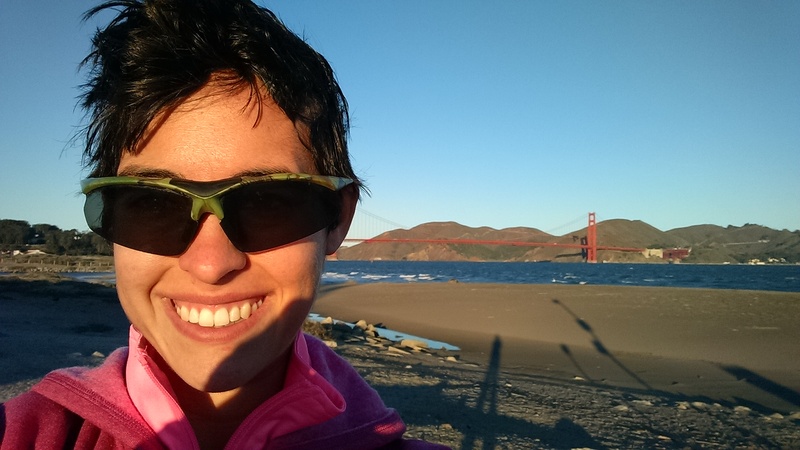 It’s a 24-hour race at Chrissy Field, with a great view of the Golden Gate bridge. 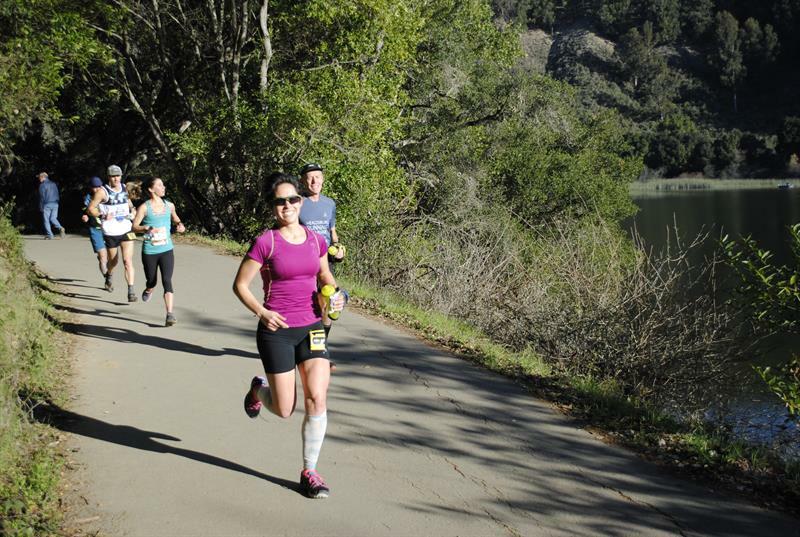 Runners make ~1-mile loops around a lagoon from 9am on Dec 31st to 9am on Jan 1st, trying to log as many miles as they can. My goal was to run 100 miles. I ended up running 40 before dropping out. I’ve never dropped out of a race before. It felt miserable. I felt like a failure, and like a quitter, and in some ways, I still do. It will probably take longer than the three days it’s been since the race to come to terms with dropping out. The race itself: the course was beautiful. The light on the Golden Gate bridge was amazing to see in the morning, and at midday, and at sunset. As for the running – the first five or ten miles were great. I was trotting along at a pretty good pace, keeping up with some of the top runners in the field. Between miles 10 and 20, I ran by myself, and I had some expected existential mini-crises: “Why are you doing this?” “Wouldn’t you rather be at home, petting the cats?”, but I kept up my pace. I finished 30 miles in six hours, which was right on track with my goal pace. 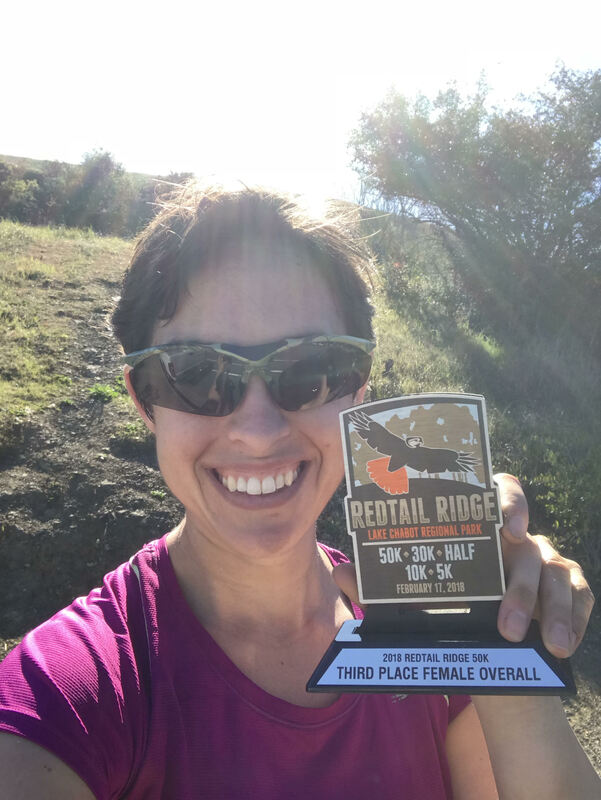 I was also in 2nd or 3rd place for female runners at that point, which felt pretty good. Around mile 34, my knee started hurting. Yes, that knee, and that same part. It was the injury that took me out for six months in 2012. Last time, it was caused by overuse, and by hitting the hills too hard, to quickly. This course in SF was a flat course, but I knew what the problem was. 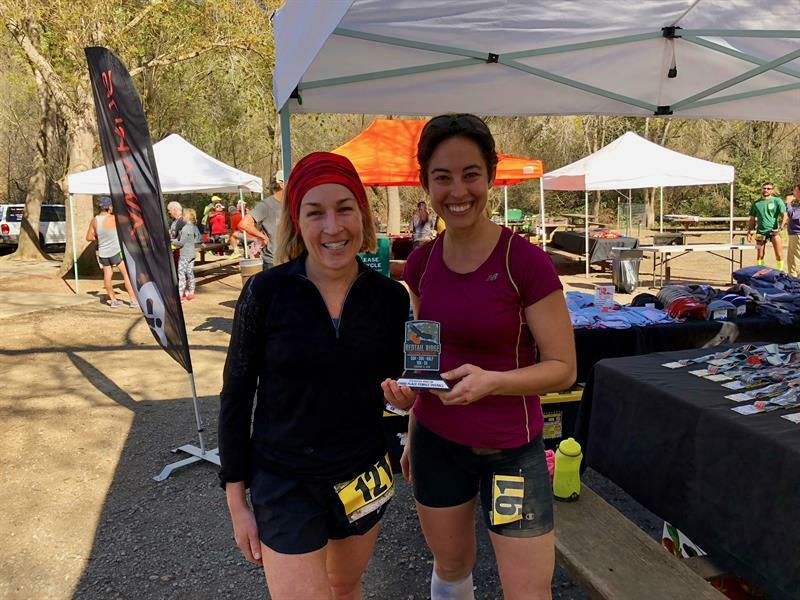 I’d gone from running flat in Philadelphia to, before this race, running hills for a few weeks near by parents’ house in California, with no ramp-up time. I’d made the same mistake twice. In a race, when some part of your body starts hurting, you try to do something differently for a bit. Walk half a lap, change your stride, strike with a different part of the foot, anything that might make the pain go away or allow your body to use different muscles for a bit. I tried a bunch of things, but the knee pain wasn’t getting better. I honestly didn’t expect it to. This particular pain wasn’t one you just worked through – it would just get worse. It wasn’t going to happen. Part of me knew it wasn’t going to, even though I was giving it time to stop hurting. 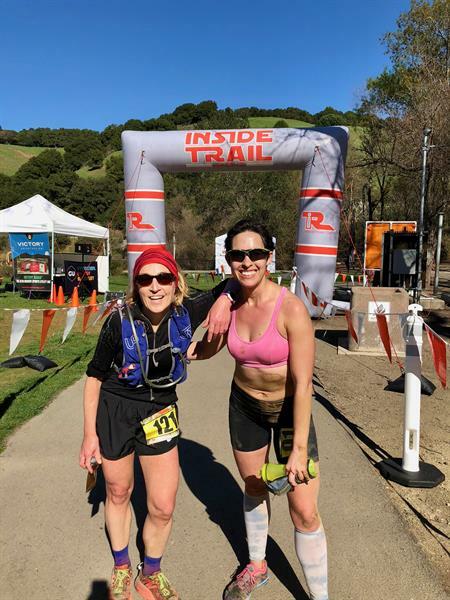 I made it to 40 miles at around 8 hours, and dropped out. Spending the next 16 hours on the course, in pain, potentially damaging my knee irreparably, just didn’t seem like a good idea. I took a shower at a friend’s place and immediately started driving back to Orange County. The next 9 hours, as the clock turned to 2015, were spent alone in the dark, on the open road, or sleeping in the back seat of my car. I didn’t really want to talk to anyone. I felt like a complete failure. I’d been looking forward to this race for so long – it had been a race I’d wanted to run for years. The idea of honoring my sport by finishing 2014 and starting 2015 with running seemed very symbolic. Now, I had to get over those sentimental notions. The calendar’s an arbitrary creation anyway. I’m taking the next two weeks off from running, to let my knee – and the rest of my body – heal. After a year with 17 marathons/ultras, an average of ~50 miles per week, and almost 2,500 miles run in total, and crossing the 10,000 lifetime-mile threshold, it’s probably time to let my body recover for a bit. However, I’ve had some time to reflect. Ultimately, this is an expected value calculation, where two outcomes were possible. 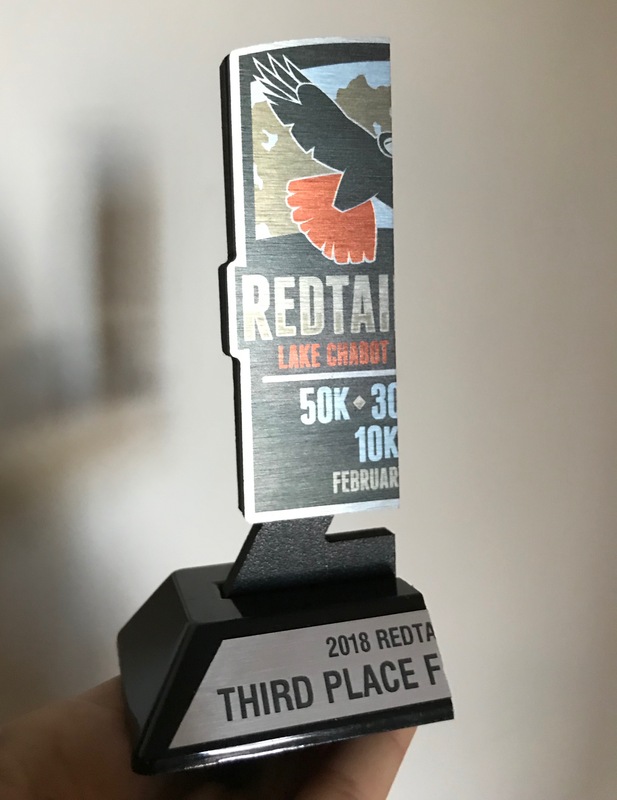 In the first, I would have stayed on the course and finished the race; I most likely would have injured myself even further, which would mean being off of my feet for at least six months, and maybe much longer. In the second, which I chose, I stopped the race, take two weeks off, give my body time to recover, and get back to running slowly after that. Sounds better to me. While I’m not happy with the outcome in the short term, I know this was the right choice for the long term. Handling this failure isn’t easy, but it’s also a good learning experience. Also … I’m also now pretty sure I can run 100 miles in 24 hours. Running 40 miles in 8 hours is a pretty damn good start. I think I can do it again … and, next time, keep on running. Check out the bridge in the background! This was our view all day.